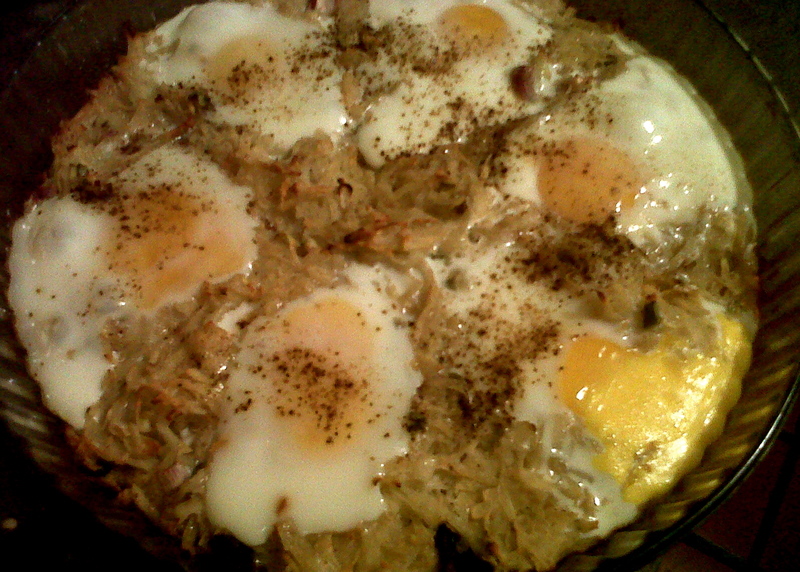 This recipe is adapted from Cooking Light Rosti Casserole recipe. Ever since I was a kid, I loved having breakfast for dinner. Since Argies aren’t big on hearty breakfasts, now breakfast for dinner is my best chance to eat brunch foods, which in my opinion, are the best foods. I wanted to make this from the second I laid eyes on the recipe while browsing CookingLight.com. This made a really satisfying dinner, but I think would be perfect at a Sunday brunch. 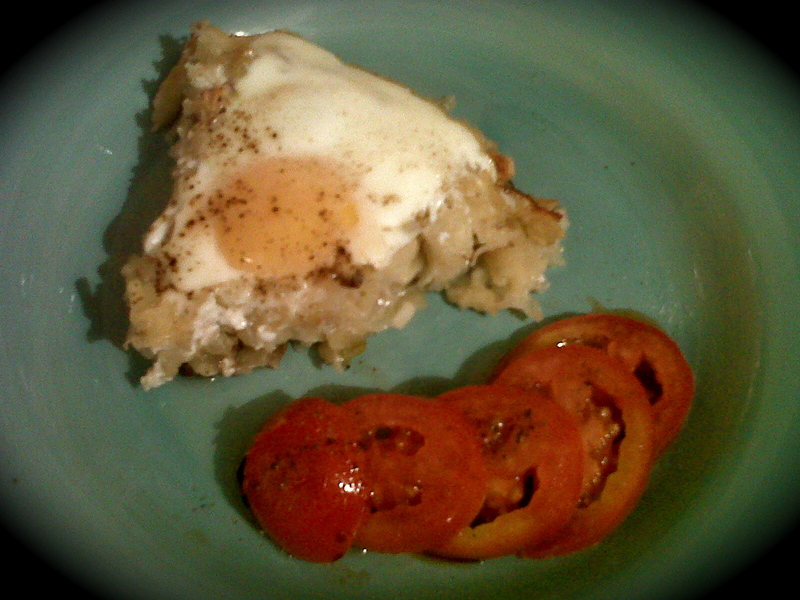 It turned out rich, and hearty, it was a very filling meal. I served it with some simple tomato slices, sprinkled with oil and balsamic vinegar. Here is my adapted recipe. Mix together the yogurt, flour, salt and pepper. Pour mixture over grated potatoes. Add onions, green onions, mushrooms and goat cheese. Mix thoroughly. In a greased casserole dish, spread the mixture evenly. Bake in a preheated oven at 400° for 40 minutes, until potatoes are no longer crunchy. Remove from oven. Using a spoon, make 6 indentations in the casserole. Crack an egg into each indentation. Sprinkle with salt and pepper. Return to oven and cook for 10 more minutes, or until eggs are no longer runny. This sounds so good! And it involves eggs so your Dad is in! Sunday Brunch with the Girls at Flor de un Dia | .My.Beautiful.Air.